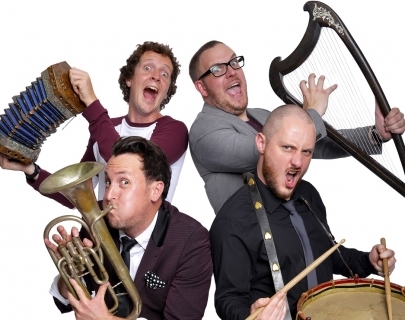 The sell-out comedy sensation are now on tour with an anarchic afternoon show for just about everyone. Join The Noise Next Door for an epic explosion of outlandish characters, perfect punchlines and awesome songs all mixed together with the guys’ trademark brand of off-the-cuff antics. A barrel of belly laughs awaits for anyone between 8… and 108! As seen on ITV1, ITV2, BBC3 and ‘The One Show’ on BBC1! As heard on BBC Radio 1 and BBC Radio 4!